Maintain and optimize your oral health at Dental & Skin. We prioritize patient experience to create and provide excellent dental treatments. Expect a detailed, no rush examination, with a treatment plan and advice. 1. In a nutshell what is nose rejuvenation? 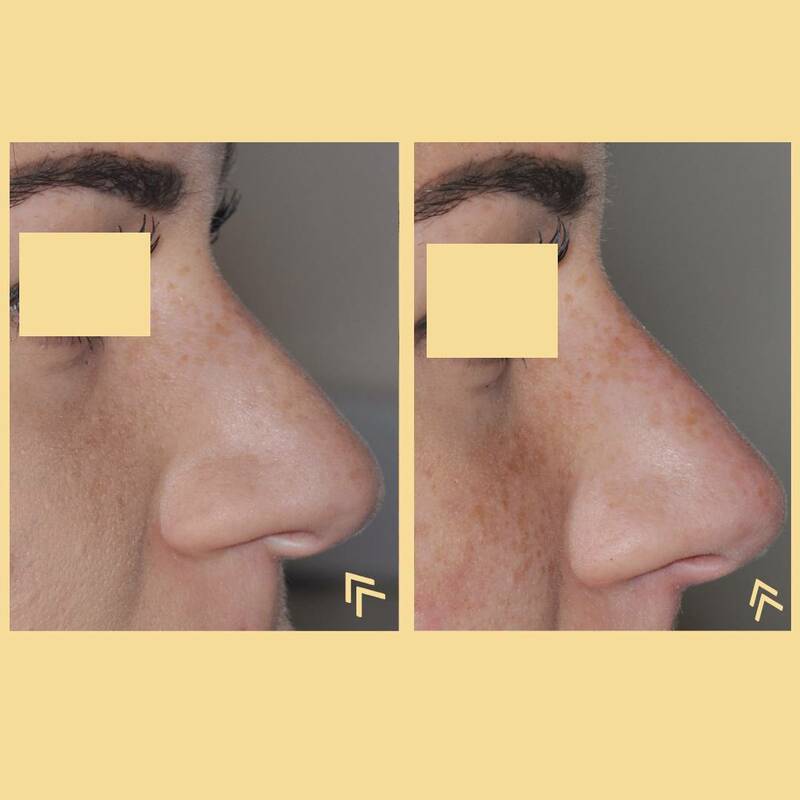 Nose rejuvenation is a non-surgical option to improve the appearance of your nose, by injecting dermal fillers. 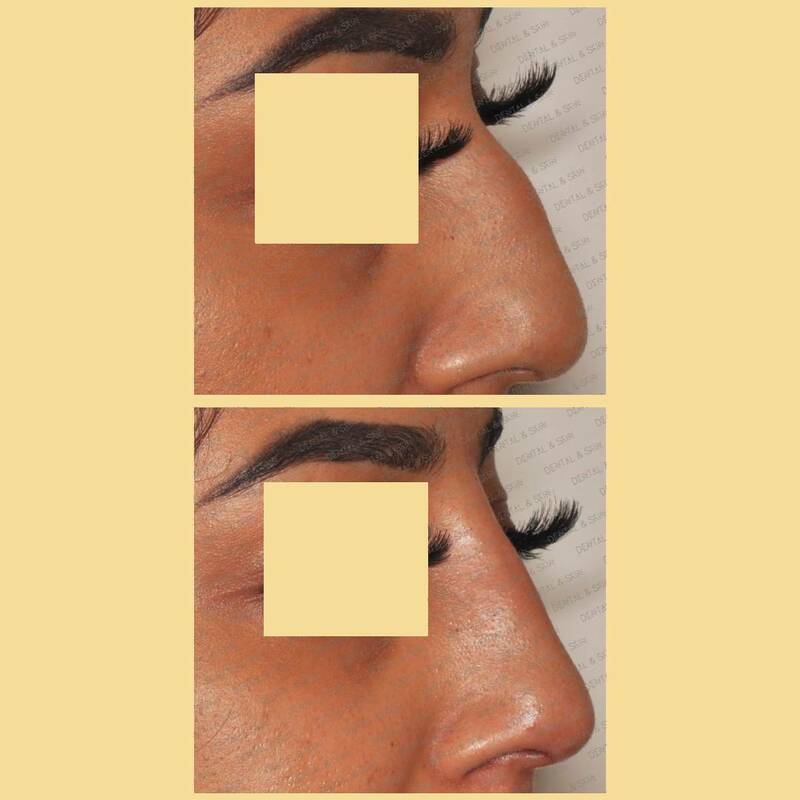 Dermal fillers can be used to improve bumps on the bridge of the nose, as well enhancing shape by lifting the nose tip. Dermal fillers are a great alternative to a surgical nose job, with many patients now opting for non-surgical nose rejuvenation. The dermal fillers used contain hyaluronic acid, a substance natural to the human body. 2. 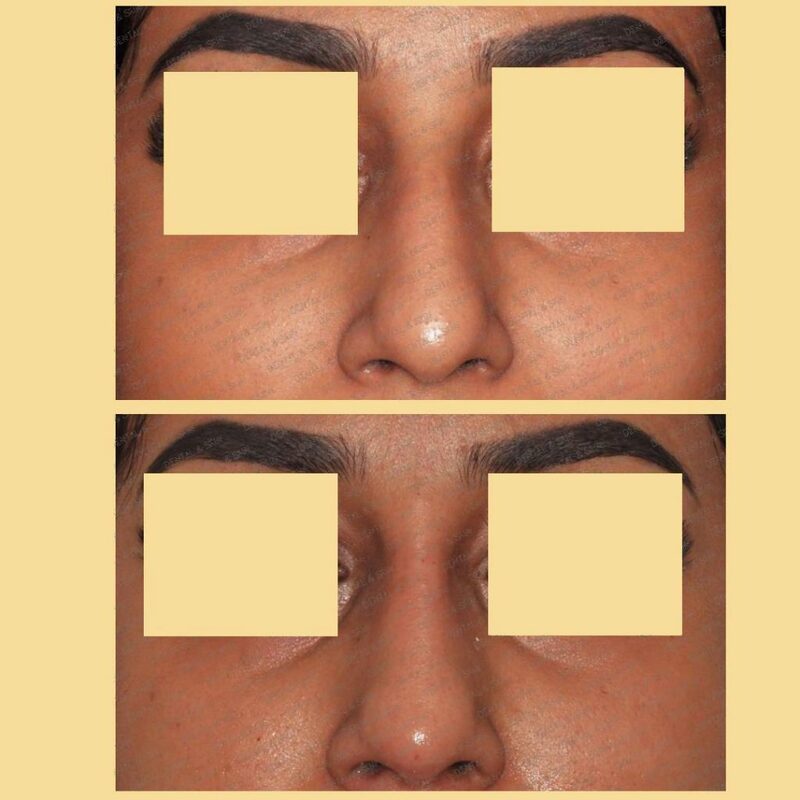 Am I suitable for nose rejuvenation? At Dental & Skin, we find that most patients are suitable for nose rejuvenation treatment. 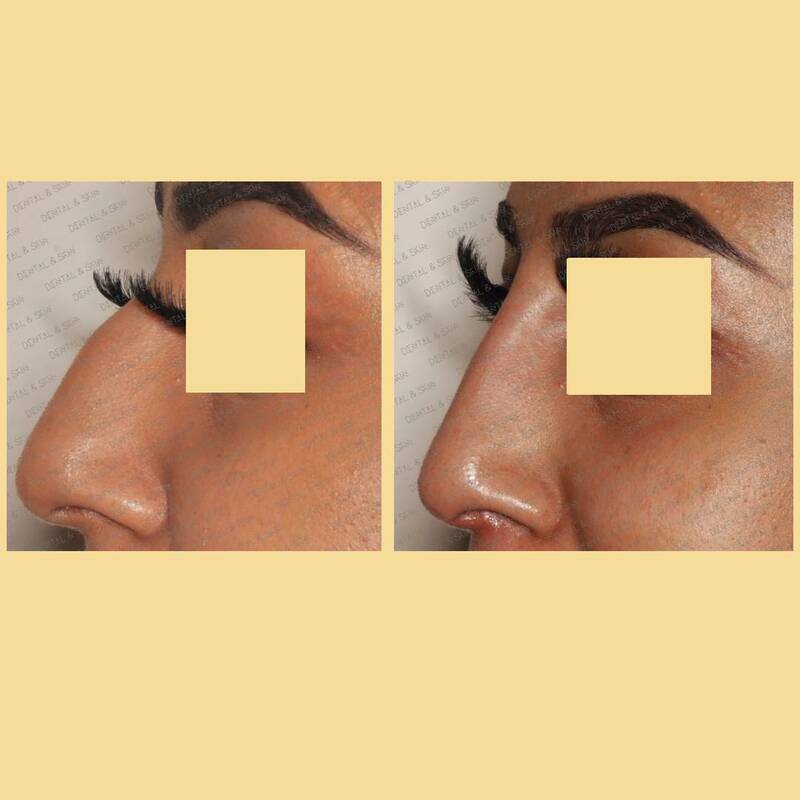 If you are concerned about the appearance of your nose, pop by our London clinic for a free consultation. 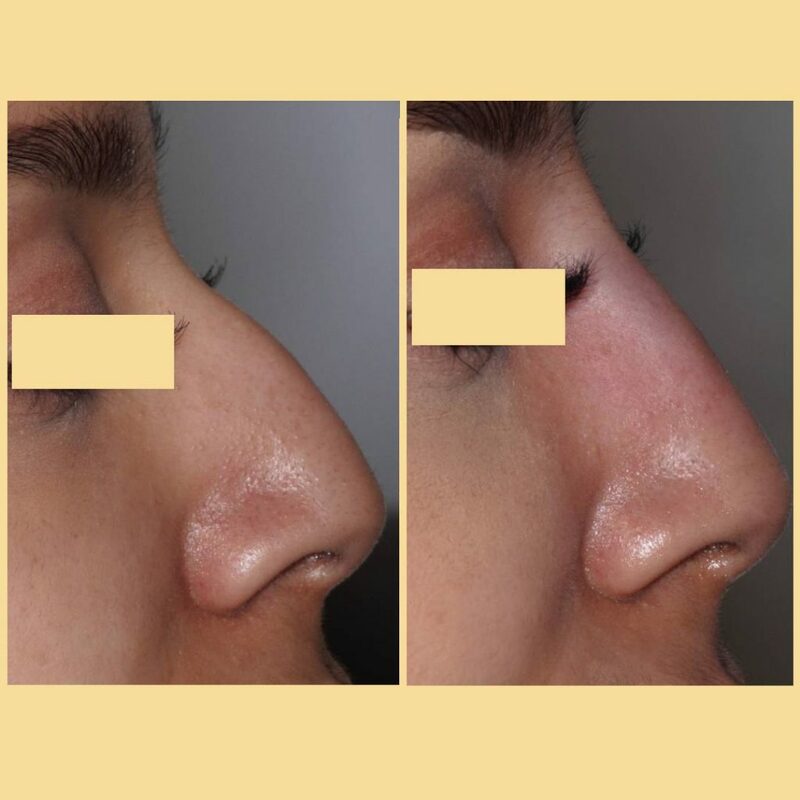 Nose rejuvenation treatment can correct: small noses, noses that need straightening or are hooked, noses with bumps on the bridge, noses that are drooping at the tip, crooked noses, noses that would like more definition and noses that need correction after surgery. Patients who are not suitable for cheek filler are: pregnant and breastfeeding women, patients with allergies. 3. How long will the filler last for? The lasting effects of dermal filler does vary from patient to patient, depending on how fast each individual patient’s’ body dissolves the filler. However, the most common time for filler to last for is between 6-12 months. We would recommend a top up treatment every 6 months to maintain optimum results. 4. What is hyaluronic acid? Hyaluronic acid is a sugar molecule that exists naturally in the human body. It plays an important part in the transmission of nutrients as well as in the movement of joints. Hyaluronic acid helps to maintain collagen levels, and is an excellent moisturiser for the skin. It’s ability to keep the skin looking moisturised, create volume and boost elasticity all make hyaluronic acid an excellent anti-ageing product. One of the greatest advantages of hyaluronic acid are their reversibility. If a patient requires for their cheek filler to be dissolved, this is easily done by injecting a substance called hyaluronidase. Injecting hyaluronic acid can only be carried out by a trained practitioner, this is because only a trained doctor can estimate how much filler would need to be injected. 5. What will happen at my appointment? At Dental & Skin we offer all patients a free consultation. This is where we will assess your nose, and discuss your desired results and expectations from treatment. We will then offer our advice on which filler is best suited to your treatment needs. Before we go ahead some medical history, and consent forms will need to be filled out. The dermal filler will then be injected into your nose in small amounts, using a fine needle, and will be massaged to shape. You will be able to hold a mirror to watch treatment taking place and guide the doctor to your desired shape. The treatment time usually lasts between 15-30 minutes long. After treatment has been carried out we will offer our patient a review appointment to complete treatment notes and assess results in a few weeks time. 6. Which type of dermal filler is used? Juvederm is a popular brand of filler that can be used on all skin types. Juvederm is one of the more natural, smooth looking filler that produces long lasting results. Patients who are treated with Juvederm require little down time, and can resume normal activities. Other skin treatments can also be carried out with Juvederm. Juvederm is made up of hyaluronic acid, natural to the human body. Restylane is a great option for patients who want to build up volume and smooth out facial contours. This is because when injected, the doctor can mould the filler to the desired shape, and the patient can guide them too. With Restylane you are less likely to experience any lumps. Restylane is a good choice if you are concerned about your smokers lines. Restylane is made from hyaluronic acid, which dissolves naturally into the human body. Restylane does not contain an anaesthetic. Therefore for patients who are susceptible to pain, a local anaesthetic is often necessary. Perlane is a great option for patients who are concerned about the deeper wrinkles or lines on their face. This is due to Perlane being a denser molecule and so restoring greater volume. Perlane produces minimal bruising, however, most patients do not find this painful. The results from Perlane often last longer than other brands of filler, and is most commonly used on the cheeks and lips for deeper lines. Perlane is not a great option for patients who want to treat their fine lines. This type of dermal filler is recommended for patients from 35 to 60. Radiesse unlike the other fillers is made from calcium hydroxylapatite. Radiesse will stimulate the production of collagen and provides a support to your skin. Radiesse provides immediate results, which can depending on the patient need to be touched up. Radiesse greatly improves the appearance of deep lines, wrinkles and acne scars. Injecting Radiesse can be painful, if you have sensitive skin let your doctor know who can provide numbing cream. Sculptra is made from Poly-L-lactic acid compound, and like hyaluronic acid occurs naturally in the human body. This compound works in the body to thicken muscles and skin by stimulating collagen. Sculptra produces long lasting results (can be up to 2 years), due to its thickness and ability to stimulate collagen and plump up the skin. Sculptra produces natural results, however, it can take longer to achieve the results. A minimum of three treatments are required and are spread out a week apart. 7. Will I experience any pain? We find that most patients undergoing dermal filler treatment do not experience any pain. This is because the product we use contains Lidocaine which is a local anaesthetic. Numbing cream will be applied to your nose before treatment to enhance patient comfortability. We would advise patients before treatment to avoid anti-inflammatory painkillers. Doing this will reduce the likeliness of bruising or swelling. After treatment patients should: avoid direct sunlight, wear sunscreen, avoid heavy exercise for 24 hours and avoid alcohol for 1 to 2 days. If patients do experience any bruising or swelling after treatment, this can be reduced by applying an ice pack onto your nose. Non-surgical nose rejuvenation is a quick procedure that requires little downtime. Patients can visit their doctor during their lunch break or after work. During the treatment the patient is in control, and can guide their doctor to their desired shape. Non-surgical is a much cheaper and patients are at less risk, due to dermal filler being reversible as well as minimal to no bruising. Dermal fillers can not correct respiratory or other medical problems that require a surgical nose job. Dermal fillers do not last forever, they require top up appointments every 6-12 months. Dermal fillers are not risk free, some patients may have reactions to dermal filler. 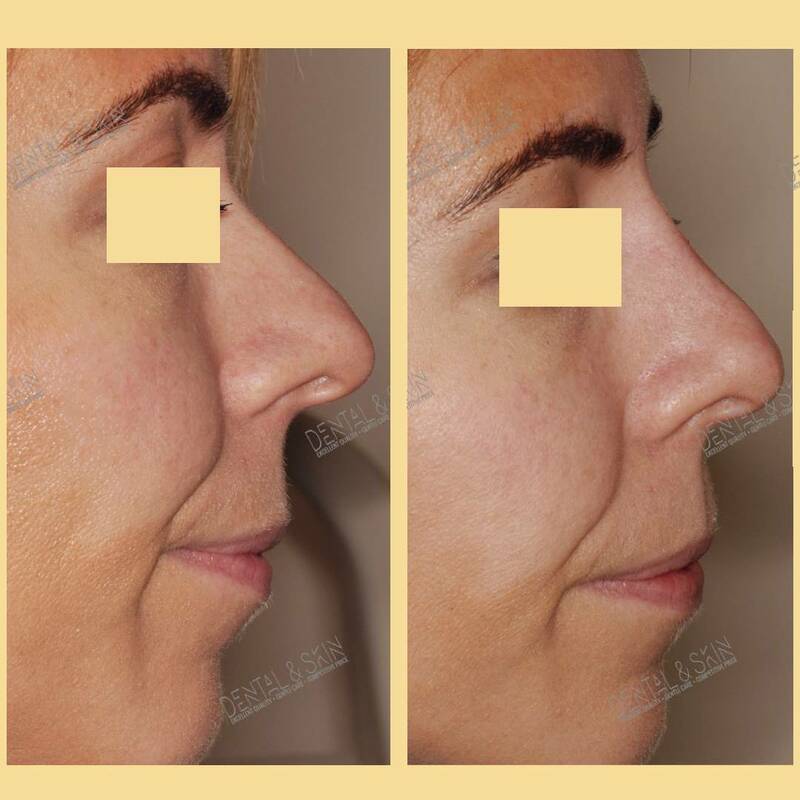 Surgical nose rejuvenation produces permanent results. 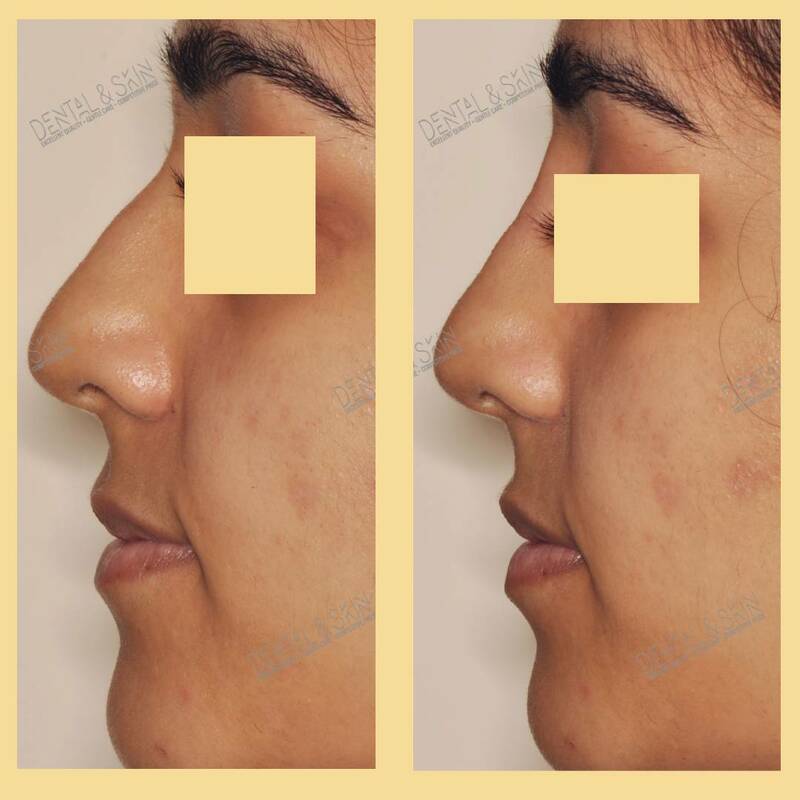 Medical and respiratory problems can be corrected with surgical nose rejuvenation. Requires more down time and patients are at higher risk of bruising. There can be many more complications in a surgical procedure for example, infections and blood clots. 10. 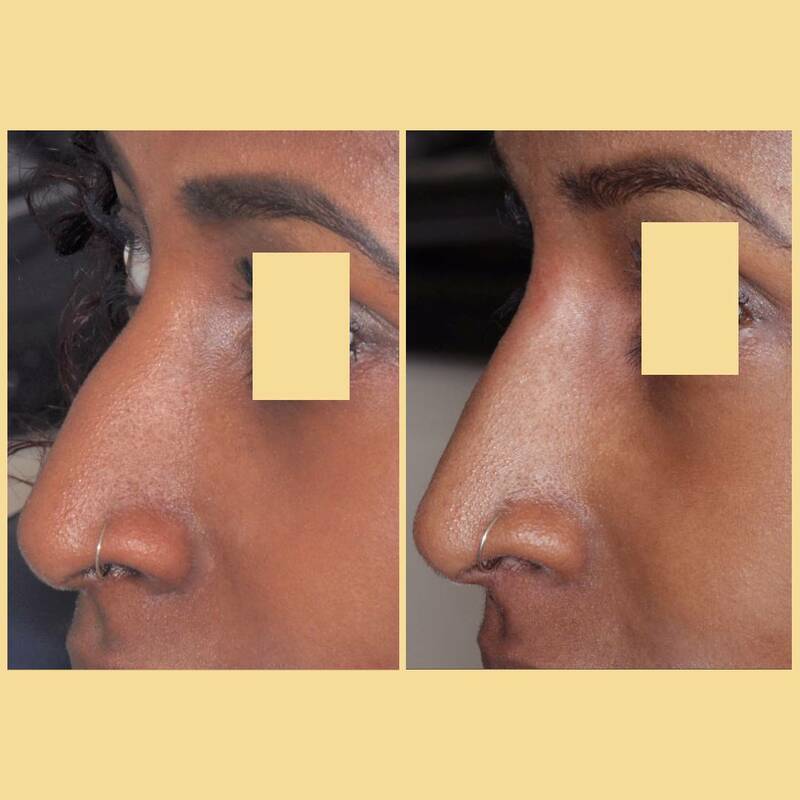 Why Nose Reshaping at Dental & Skin? At Dental & Skin our doctor has a Masters in Restorative & Aesthetics with over 10 years experience in the field. We offer free consultations and will provide patients with all knowledge prior to any treatment. We offer many brands of filler and work with our patients desired results and expectations to provide excellent results. We work around your busy schedule with evening appointments and review appointments.